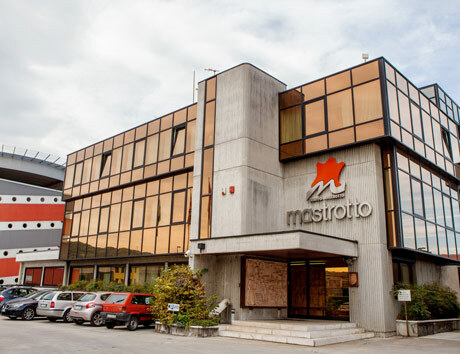 Gruppo Mastrotto was established in 1958, when Santo and Bruno together with Arciso, their father, laid the foundations of a company that now employs more than 2,300 staff throughout the world and has an annual turnover of more than 455 million Euros. The Group has 16 locations: 7 manufacturing plants and 5 logistic facilities are in the so-called “leather district” in Arzignano, close to Vicenza, whereas 4 other manufacturing plants are in Brazil, in Tunisia, in Indonesia, and in Mexico respectively. 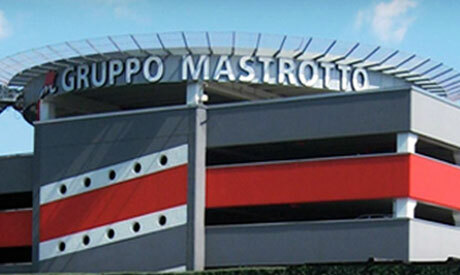 Quality, research, innovation, technological development, attention to the safety of the employees and the environment are the goals that Gruppo Mastrotto has been pursuing every day for over fifty years. The quality management system, complying with international standard ISO 9001, and environmental certification ISO 14001 guarantee the professionalism and the social responsibility of the Group, key values in the everyday management and operation of the whole Group. Such policy has led to implementing water-based finishing processes, building water purification plants and reducing the emissions of carbon dioxide with a 1,000 Kw cogeneration plant – corresponding to the electric power of more than 300 apartments –, simultaneously producing combined heat and power. A totally electric-powered industrial loader – the first in the world – was planned and built to handle the hides: it is now available in all the production plants of the Group and is also testament to the attention directed to health protection at work. 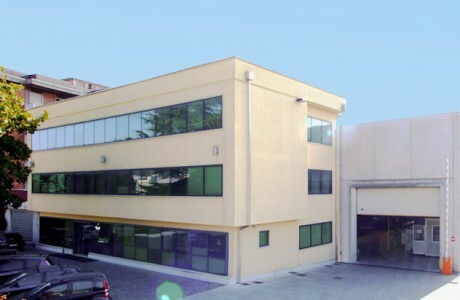 Conceria Mastrotto is the first company founded by the Mastrotto family in 1958 and specialized in producing cow hides and split suede, pigmented and in polyurethane, for footwear, leather goods, clothing and furnishings. The best features of these products are resistance, elegance, softness as well as water-repellent effects and breathability. 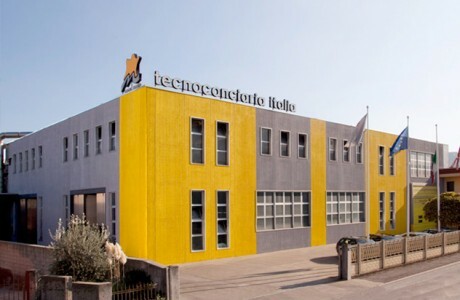 Conceria is the home of the Group’s management offices and is the research and development center where the chemical and physical features of leathers are monitored and new style and design options are developed, creating innovative projects and the latest leather trends. Linea Pelle is an important productive reality for the Gruppo Mastrotto. It is organised to be flexible and quickly meet market needs. Technology and organisation: that’s the recipe that marries the upmost professionalism with an efficient service for customers worldwide. 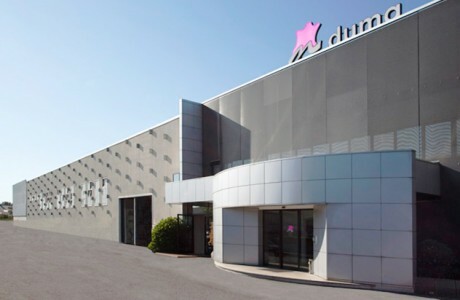 Among the top modern tanneries in Arzignano, Duma is specialised in cow hide production for furniture, contract manufacturing, hospitality, ships, automotive aftermarket and leather goods. Quality and creativity make its leather products, already present in hotel lobbies and airports, stand out: products that continue to conquer continually more exclusive sectors. Attention to trends and design, skill and awareness typify the items that are perfectly suited to various needs and applications. Mastrotto Italia Automotive produces superior quality leathers for car interiors, working to the specifications of the main world motor manufacturers. The wide product range includes leathers for seats, dashboards, door panels, headrests, armrests, gear-lever knobs, handbrakes, steering wheels and accessories in various types of leather, from full grain to split, with and without chromium. 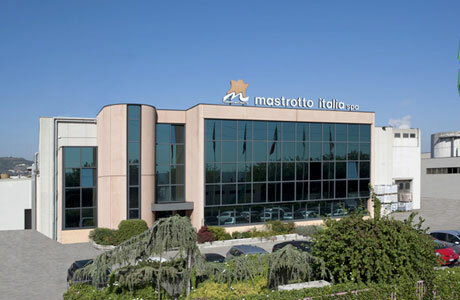 Mastrotto Italia Automotive takes advantage of the skills available across the Group in terms of know-how, innovation and production capacity, offering a highly specialised professional service to its customers. It also provides leather-cutting, skiving, lamination, perforation, printing and other special services, using innovative, latest-generation machinery and technologies.